Attaque sur l'IRAN ? "Netanyahu trying to persuade cabinet to support attack on Iran"
Foreign Minister Avigdor Lieberman, who previously objected to attacking Iran, was recently persuaded by Netanyahu and Barak to support such a move. Prime Minister Benjamin Netanyahu and Defense Minister Ehud Barak are trying to muster a majority in the cabinet in favor of military action against Iran, a senior Israeli official has said. According to the official, there is a "small advantage" in the cabinet for the opponents of such an attack. Netanyahu and Barak recently persuaded Foreign Minister Avigdor Lieberman, who previously objected to attacking Iran, to support such a move. Although more than a million Israelis have had to seek shelter during a week of rockets raining down on the south, political leaders have diverted their attention to arguing over a possible war with Iran. Leading ministers were publicly dropping hints on Tuesday that Israeli could attack Iran, although a member of the forum of eight senior ministers said no such decision had been taken. Senior ministers and diplomats said the International Atomic Energy Agency's report, due to be released on November 8, will have a decisive effect on the decisions Israel makes. The commotion regarding Iran was sparked by journalist Nahum Barnea's column in Yedioth Ahronoth last Friday. Barnea's concerned tone and his editors' decision to run the column under the main headline ("Atomic Pressure" ) repositioned the debate on Iran from closed rooms to the media's front pages. Reporters could suddenly ask the prime minister and defense minister whether they intend to attack Iran in the near future and the political scene went haywire. Western intelligence officials agree that Iran is forging ahead with its nuclear program. Intelligence services now say it will take Iran two or three years to get the bomb once it decides to (it hasn't made the decision yet ). According to Western experts' analyses, an attack on Iran in winter is almost impossible, because the thick clouds would obstruct the Israel Air Force's performance. 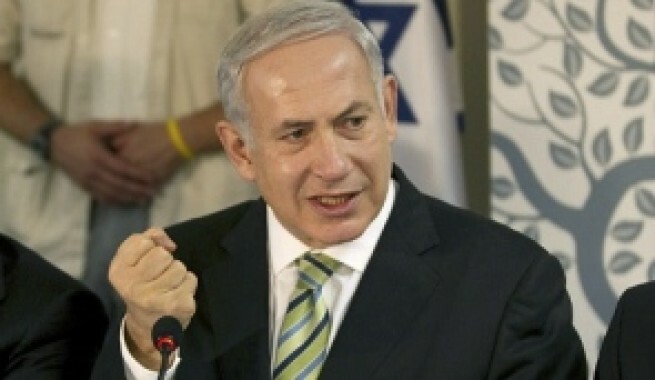 Netanyahu did not rule out the possibility of the need for a military action on Iran this week. During his Knesset address on Monday, Netanyahu warned of Iran's increased power and influence. "One of those regional powers is Iran, which is continuing its efforts to obtain nuclear weapons. A nuclear Iran would constitute a grave threat to the Middle East and the entire world, and of course it is a direct and grave threat on us," he said. Barak said Israel should not be intimidated but did not rule out the possibility that Israel would launch a military attack on Iran's nuclear facilities. "I object to intimidation and saying Israel could be destroyed by Iran," he said. "We're not hiding our thoughts. However there are issues we don't discuss in public ... We have to act in every way possible and no options should be taken off the table ... I believe diplomatic pressure and sanctions must be brought to bear against Iran," he said. Strategic Affairs Minister Moshe Ya'alon said he preferred an American military attack on Iran to an Israeli one. "A military move is the last resort," he said. Interior Minister Eli Yishai has not made his mind up yet on the issue. In a speech to Shas activists in the north on Monday Yishai said "this is a complicated time and it's better not to talk about how complicated it is. This possible action is keeping me awake at night. Imagine we're [attacked] from the north, south and center. They have short-range and long-range missiles - we believe they have about 100,000 rockets and missiles." Intelligence and Atomic Energy Minister Dan Meridor said he supports an American move against Iran. In an interview to the Walla! website some two weeks ago Meridor said "It's clear to all that a nuclear Iran is a grave danger and the whole world, led by the United States, must make constant efforts to stop Iran from obtaining nuclear weapons. The Iranians already have more than four tons of 3-4 percent enriched uranium and 70 kgs. of 20 percent enriched uranium. It's clear to us they are continuing to make missiles. Iran's nuclearization is not only a threat to Israel but to several other Western states, and the international interest must unite here." Former Defense Minister Benjamin Ben-Eliezer said he feared a "horror scenario" in which Netanyahu and Barak decide to attack Iran. He warned of a "rash act" and said he hoped "common sense will prevail." On Tuesday, Barak said at the Knesset's Finance Committee that the state budget must be increased by NIS 7-8 a year for five years to fulfill Israel's security needs and answer the social protest. "The situation requires expanding the budget to enable us to act in a responsible way regarding the defense budget considering the challenges, as well as fulfill some of the demands coming from the Trajtenberg committee," he said.